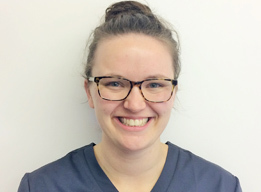 Miriam qualified in 2015 from the University of British Columbia in Canada with a BDSc (Dental Hygiene). Although born in England, she lived in France and Canada before coming back to England in 2017. In her spare time she enjoys travelling, hiking and kayaking with her husband.